ID: 2051 ~ Source: Waco News-Tribune, 4 January 1943, page 6. Accessed via newspapers.com. 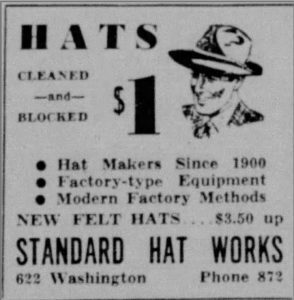 Standard Hat Works not only crafted hats, but also offered cleaning and boxing services to ensure the lasting quality of its products for customers. 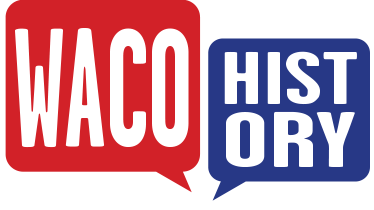 While hat prices have soared above the 1943 numbers depicted here, the company still remains committed to quality craftsmanship and product care.